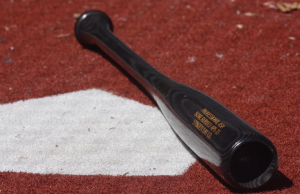 We have reviewed a ton of wood bats, including those considered the best in the business. That background, as well as a thorough reference search for user reviews, round out this Stinger Bats review. The only place we find these bats is directly on their site, where you’ll notice they have a number of accessories to check out as well. Anyone who has followed the wood bat space over the last several years should have noticed the onslaught of top grain wood bats on the market. It seems like just a few years ago there were only 2 or 3 serious wood bats. Today, the list is deep and replete with legit performance wood bats with top end hard grains meant for the best in the business. Our experience with the Stinger brand of bats puts it squarely in this category. We found the bat as smooth as any bat grain we’ve hit with. The options are pro grade ash, maple or birch with a variety of sizes and custom color options. The company is still small enough that, we’d guess, if you had a particular request on the turn, they’d figure out a way to accommodate. Each wood type can come in a 271, P72, AP5 or M110. They also make a Youth Version of the bat that, at least from the pictures we see, looks like a 271 turn. There is not a ton of information on the internet, relatively speaking, about Stinger bats. But we did find a few places you might find interesting. 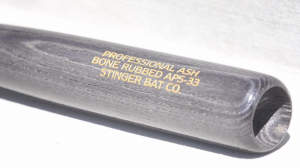 Aside from our own hitting and experience, we referenced the following for our Stinger Bat review.